Sapulpa is the county seat for Creek County and is located in northeast Oklahoma’s Green Country. It occupies an area over which six nations have flown their flags – Spain, France, England, Mexico, the Choctaw Indian Nation, and the United States. The character of Sapulpa was shaped by three historic factors – Indians, railroads and oil. 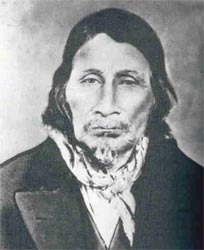 Chief Sapulpa, the area’s first permanent settler, was a full-blood lower Creek Indian of the Kasihta Tribe in Osocheetown, Alabama. He arrived in Indian Territory about 1850 and established a trading post near the confluence of Polecat and Rock creeks (about one mile southeast of present day downtown Sapulpa). When the Atlantic and Pacific railroad line extended to the area in 1886, it was called “Sapulpa Station” in honor of Chief Sapulpa who had befriended the railway workers. The treaty of 1866 between the Creek Nation and the United States provided for the establishment of post offices in the territory. In 1889 a post office named Sapulpa was opened and the town was incorporated in 1898. In 1905 the discovery of Glenn Pool oilfield, six miles southeast of Sapulpa, fostered the greatest period of growth. The oil boom, the Frisco railroad, and the addition of two brick and four glass plants all combined to transform Sapulpa from a sleepy little village in Indian Territory to a bustling community of 20,000 by the mid-1920s. Most of the buildings in downtown Sapulpa were erected during this boom period. The work ethic passed down from those economic pioneers has created a skilled and dedicated work force. Today, industry is diversified with over 120 manufacturers employing approximately 5,000 workers. Today, Sapulpa has a healthy population for a small mid-western city. There is a strong middle class population known for its sense of community pride and diversified workforce. The character of Sapulpa was shaped by three historic factors – Indians, railroads and oil.